The Sheep Whisperer: Sheep Superlatives! There have been some "Outstanding" sheep over the course of time that I'd like to point out to Ewe. The first are a pair of Merino sheep from New Zealand named Shrek 1 & Shrek 2. Shrek 1 avoided the shearers for more than 6 years. Shrek's 60 lb. fleece was used to make 20 men's suits, which were auctioned for charity. 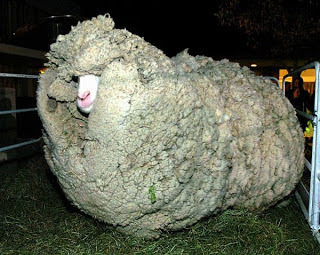 Shrek 2 roamed for 7 yrs., & had a fleece of 68.2 lbs.! 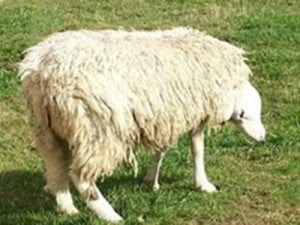 Shrek 2 managed to hide out for over 7 years & missed being sheared 7 times! The shearers finally caught up with Shrek 1 & he felt 60 lbs. lighter! 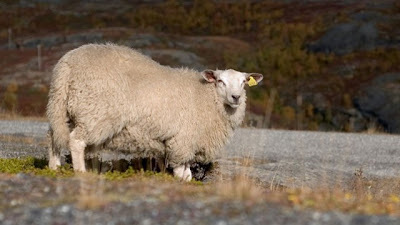 The world's oldest sheep was named Lucky. She died at the age of 23, which is double the average life expectancy of sheep. Lucky was from Australia & died after a severe heat wave in 2009. The previous record holder was George, an Australian Merino sheep that died in his sleep at the age of 21. Both were family pets. The question is," Are Ewe Feeling Lucky"? Lucky was a beloved family pet! Dolly, the first mammal to be cloned, gained instant fame in 1997, when the Roslin Institute of Scotland announced her birth. Dolly had three different mothers; One provided the DNA; another provided the egg the DNA was injected into; & the third mother carried the cloned embryo. It took 276 attempts before finally achieving success. Dolly had 6 lambs before dying 6 years later. 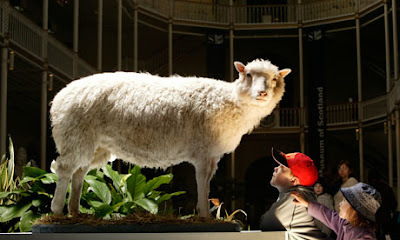 Dolly was stuffed & put on display in the Royal Museum of Scotland. Dolly posing with her first lamb. Do Ewe like their Genes? Hello Dolly! 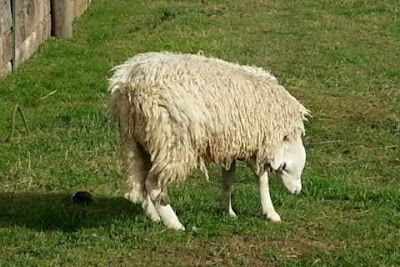 Don't Ewe think Dolly is looking a little "STUFFY"? One of the most unusual sheep I uncovered was Terry the sheep. Terry has a deformity called Spider Lamb Syndrome or (SLS) . Spider Lamb Syndrome primarily involves the improper formation of bones, resulting in twisted spines, splayed legs, & longer necks, just to mention a few. Terry's head is turned 180 degrees, giving the appearance of being upside down. 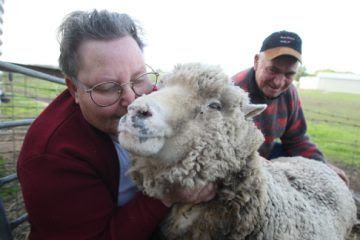 A vet notes that Terry lives a normal, pain-free life & is able to function like most sheep. 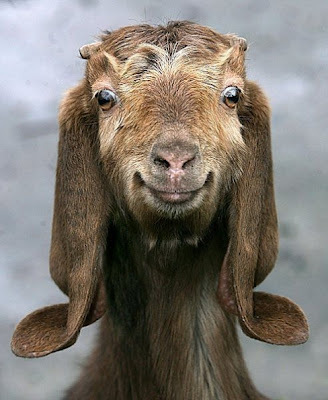 Things are really not looking that "Baaa...D"! Ewe might sat I have a different perspective on life! A double minded sheep is unstable in all his ways! 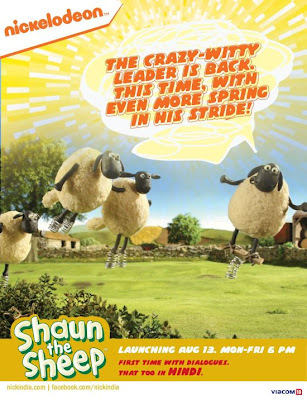 The last famous sheep to look at is "Shaun the Sheep". 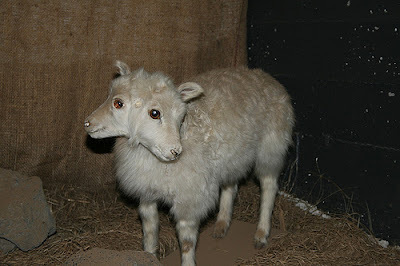 He is an animated sheep that is no ordinary sheep. He can paint, dance, & play a guitar. He's chock full of clever ways to lead his flock both into & out of trouble. Shaun was first seen n 1995 in a Wallace & Gromit short called a "Close Shave". 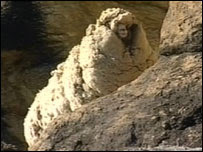 He surfaced again in 2007 in his own animated series by Aardman Animations. Watch me on You tube! It's not that "Baaa...d" of a series! Sheep are very ordinary domestic animals in many ways, yet each has its own distinctiveness. The Shepherd has the shear joy of caring for all the different varieties. My distinctive Face should bring a SMILE to EWERS! The Good Shepherd reaches out & embraces all of the sheep! Enjoy following His lead today & enjoy the distinctiveness of all His creation!